Professional writers are intimately familiar with the horror that is the blank page. It is paralyzing stuff and sometimes leaves us feeling powerless and utterly stupid. Research comes into play in every piece of writing. The amount of research you do will depend on the topic, of course, but don’t think you can escape it. Most writers don’t like researching stuff, but hey, it is part of the deal; you need to make yourself do it if you want your writing to resonate. Write a rough outline of your idea first. Do some research on the net and pull the most interesting stuff into a separate document. Copy paste whole articles and wiki pages if you need to, but then close your browser and resist the temptation to open it, even if you really, really have to! If you need some data that is not in your collected research, come back to it; put a placeholder there so you can easily find that part again and move on to stuff that you can finish. The Internet is full of distractions and constantly browsing means constantly losing time that you can spend doing something productive. If you are just starting out your writing career chances are you are spending your every waking moment slouched behind your computer, typing away. Maybe you already noticed that some days you do great and other days, not so much. Why is that? It is because every writer has a part of the day when they are their most productive self. It differs from writer to writer; some churn most of their work early in the morning while others work best in the afternoon. There are even some who do their best work in the dead of the night. Keep track of your writing every day for a month, and evaluate your output the day after. Check both quality and quantity of your work. After some time, you will be able to pinpoint the precise part of the day when your work is plentiful and of decent quality. Then it’s the simple matter of scheduling your day, and reserving the most product part of it for writing. Tip: Make sure that your family and friends know your schedule. Let them know when you are writing and ask them to refrain from being a nuisance during that period of the day. Hey, it’s cruel, but it works! 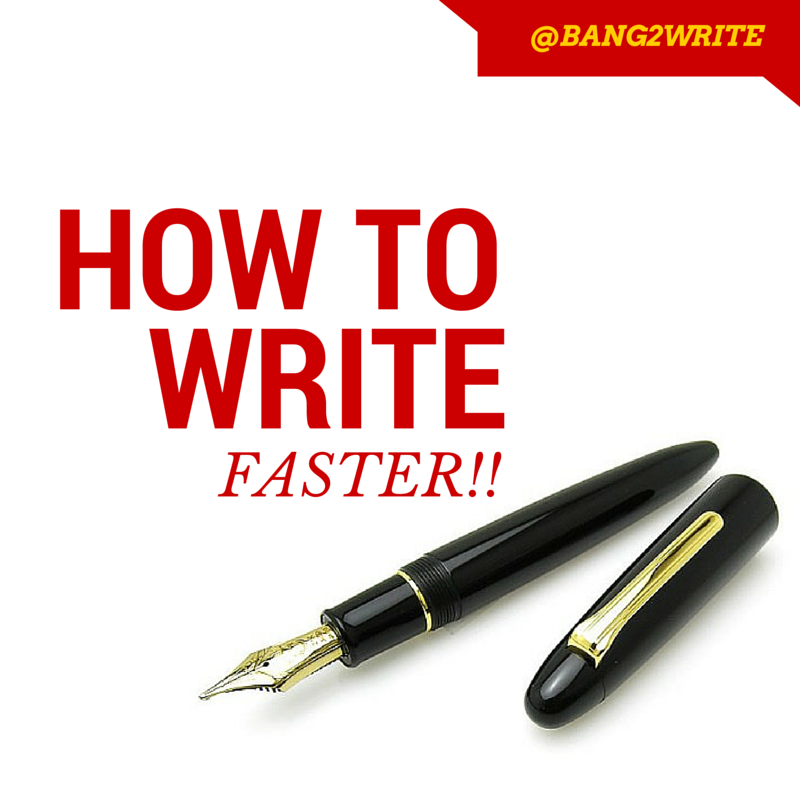 Stop writing in 5-minute increments already! We all know that being a writer is not easy. It’s gruesome work that usually lasts from dawn till dusk, or realistically, well past midnight. This is because most writers tend to write only when they feel inspired, and somehow that translates into 5 to 10 minutes every hour. The rest of the time writers tend to mull about their word choice, their topic, and their elusive muse. Do yourself a favor; get a timer and get organized. Don’t let small distractions, such as the phone ringing or a neighbor’s house catching on fire (!) get the best of you. Get a timer app that will run in the background and set it up. Work for 30 minutes, catch a breather – a 5-minute breather mind you – and then work for another 30 minutes. After 3 or so 30-minute intervals, reward yourself with a longer break. The point is to get into the rhythm of writing for a longer spell of time. Often times, being unable to write simply means being too lazy to put in a genuine effort. Tip: Don’t ignore the breaks unless you really are on fire (metaphorically, this time!). Breaks will help you gain perspective. Your subconscious mind will keep working on the text, even if your fingers are taking a breather. Fight the urge to edit your text as you write it. Turn off that spellchecker tool that keeps on underlining all you embarrassing errors and distracting you. Hitting backspace to delete something you misspelled or going back to right-click an underlined word is wasting more of your time than you can imagine. Once you sit down to write, the important thing is to get everything on the page. It doesn’t have to be perfect and it most certainly doesn’t have to be pretty. It just has to be written down. Tip: Write in an online tool that doesn’t have any bells and whistles. No fonts to adjust, no spellchecker, no distractions. You will be much faster. Some writers sit down and type their title first. And that works for them. Some love structure and hate fishing in the dark, so that’s ok. But that approach is very limiting. Having a rough outline is great and you should always have it, but outline stuff in the form of bullet points. Give yourself a general direction, but avoid boxing in your creativity by starting with a title and an introduction. Start by fleshing out your content. Add substance to your ideas and use them to write your headline, your introduction or your opening paragraph. This way you will write excellent openers that will draw your reader in. So there you have them: five simple techniques that you can use to speed up your writing process and increase your productivity. Incorporate them into your writing and we guarantee that you will see results. Not immediately – nothing is ever achieved overnight – but soon!! The most important thing, however, is to persist. Don’t get discouraged by writer’s block; we’ve all been there at one point or the other. Push through, write on, and as the time passes you will get better and better at your craft! BIO: Amy Cowen is a professional editor and writer at Aussiewriter. She’s into writing, education and technology. Feel free to contact her on Fb. Wish I had no preacher neighbor, who wakes 2a.m when I’ll love most to write to sing worship songs. May be we should soften for writers to find writing get-aways undivided attention. Can we discuss on writing grants that stress certain themes, why and geographical foci? It will help newbies.